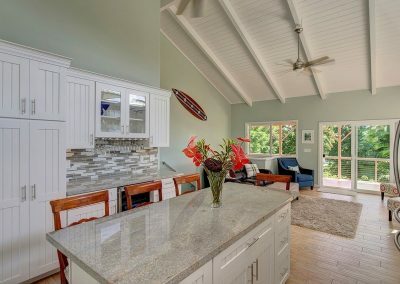 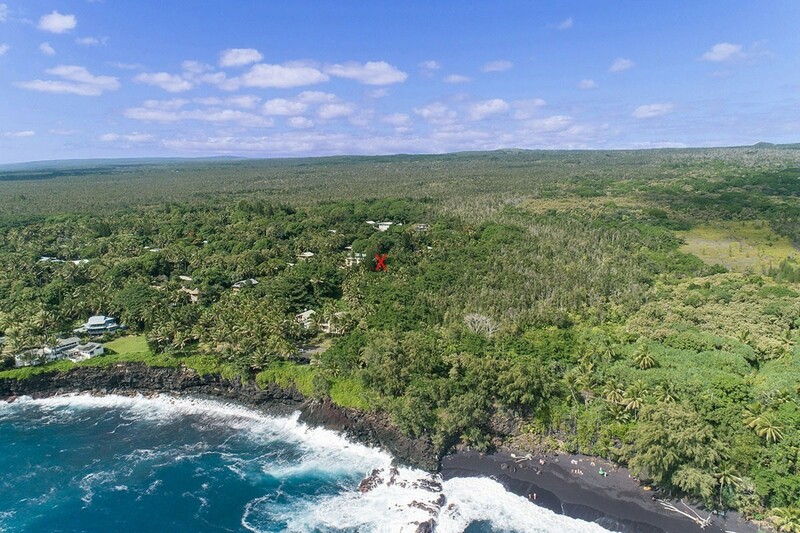 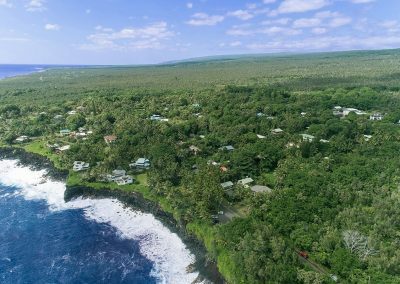 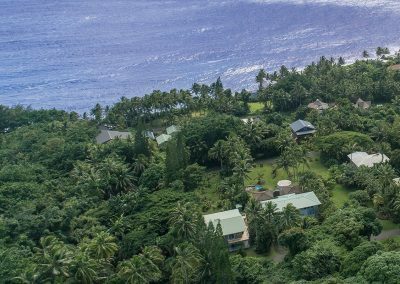 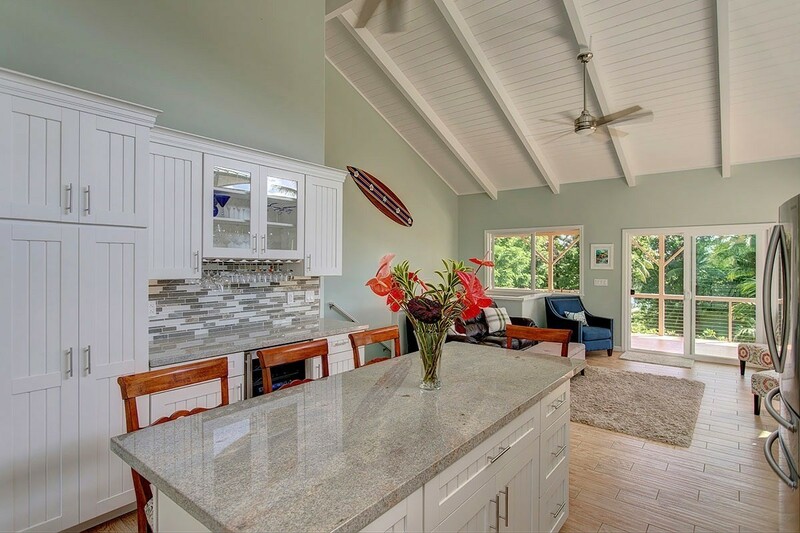 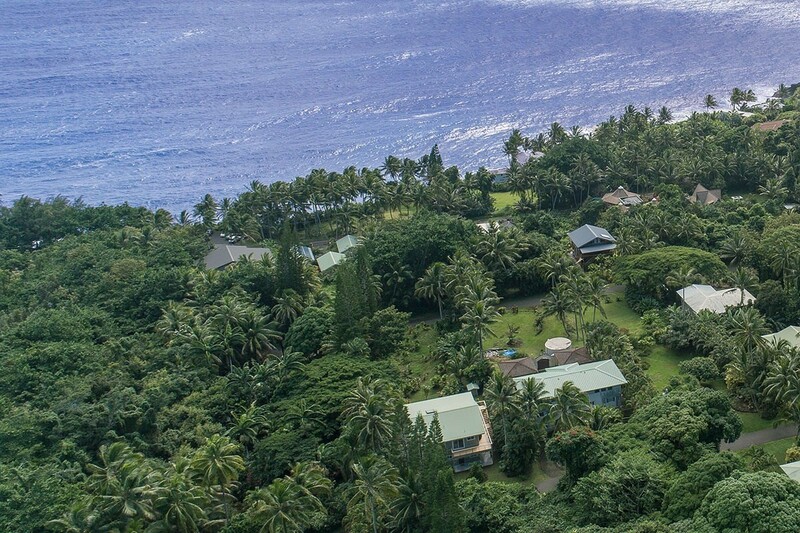 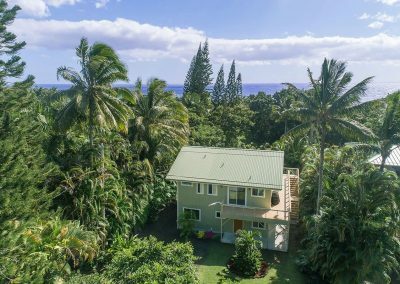 Enjoy a feeling of privacy and peacefulness while listening to the wonderful sounds of the ocean from this beautiful custom home located in the much desired coastal community of Kehena Beach. 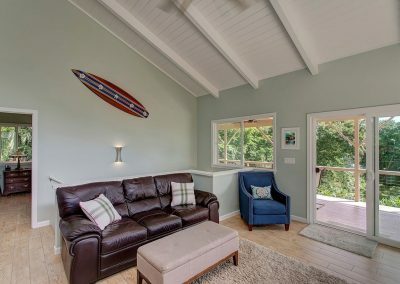 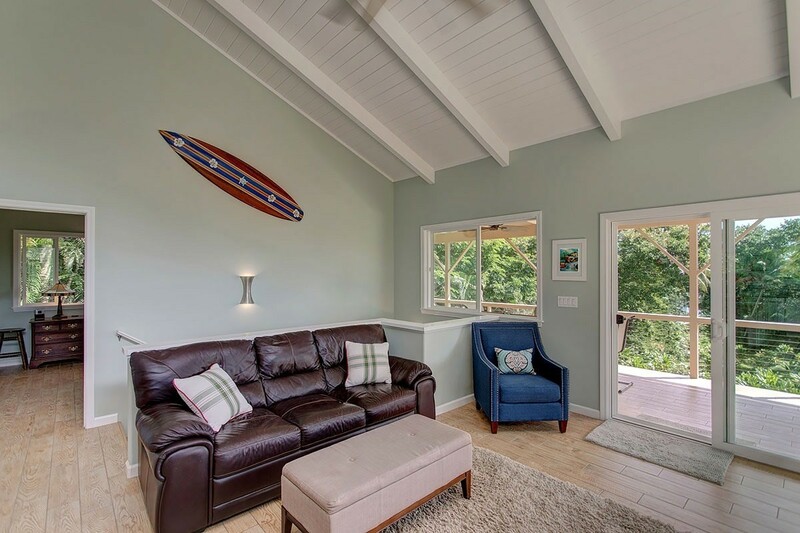 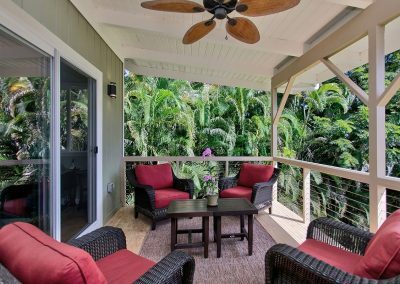 The home is nestled into an amazing tropical property, in a quiet neighborhood, all within a short few minutes’ walk to the Pacific ocean. 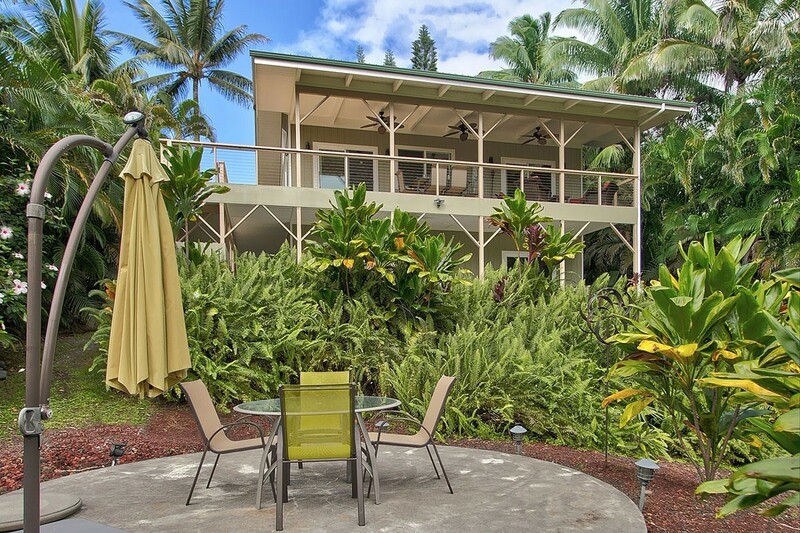 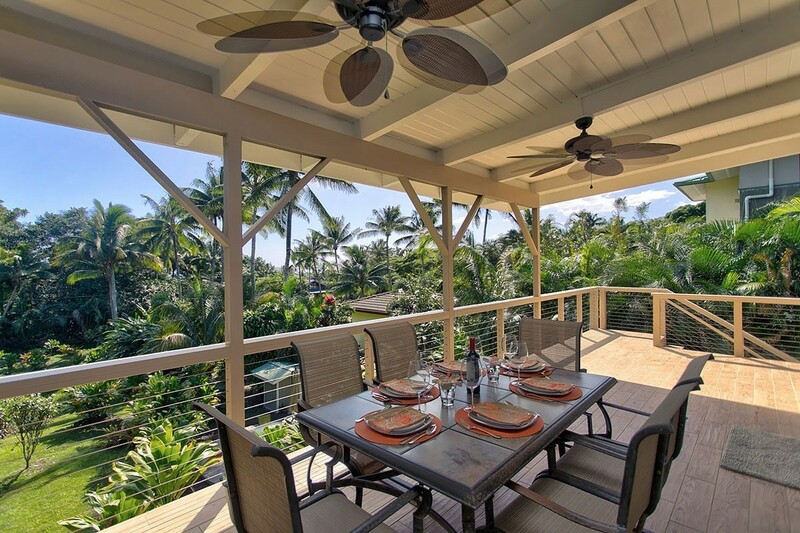 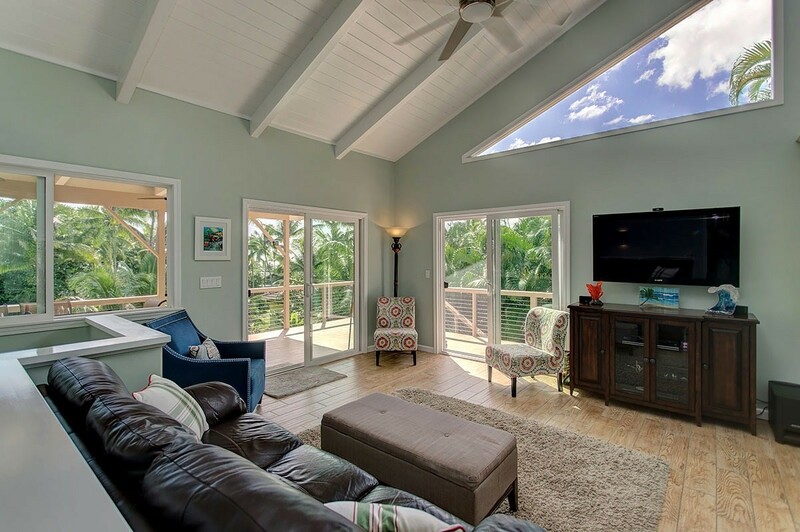 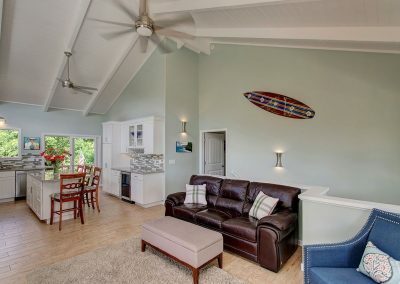 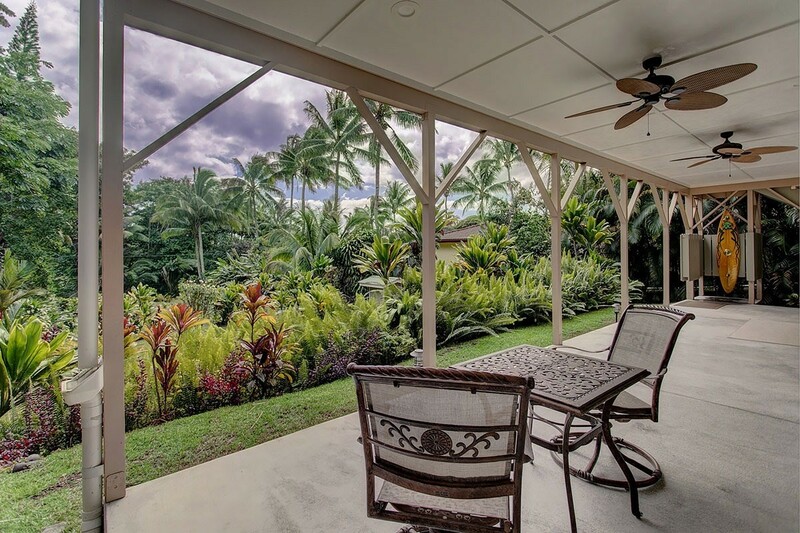 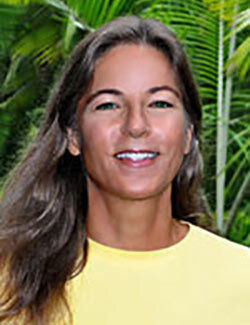 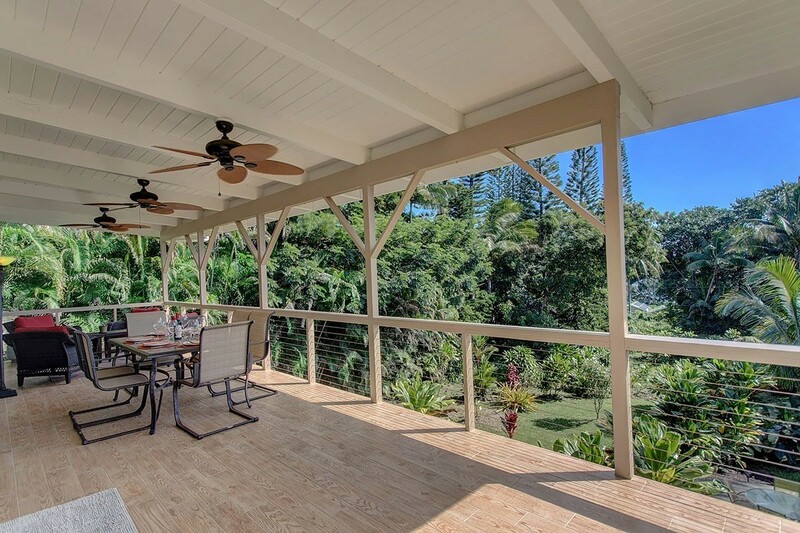 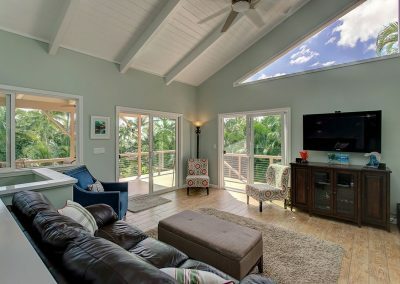 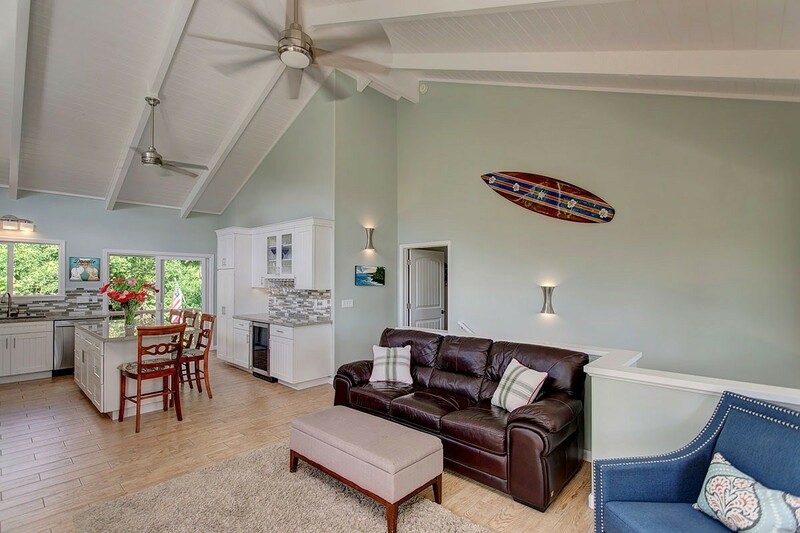 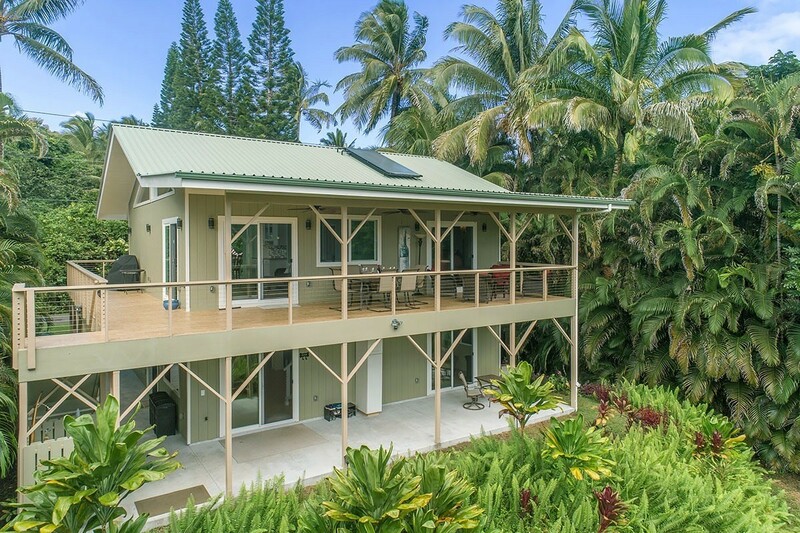 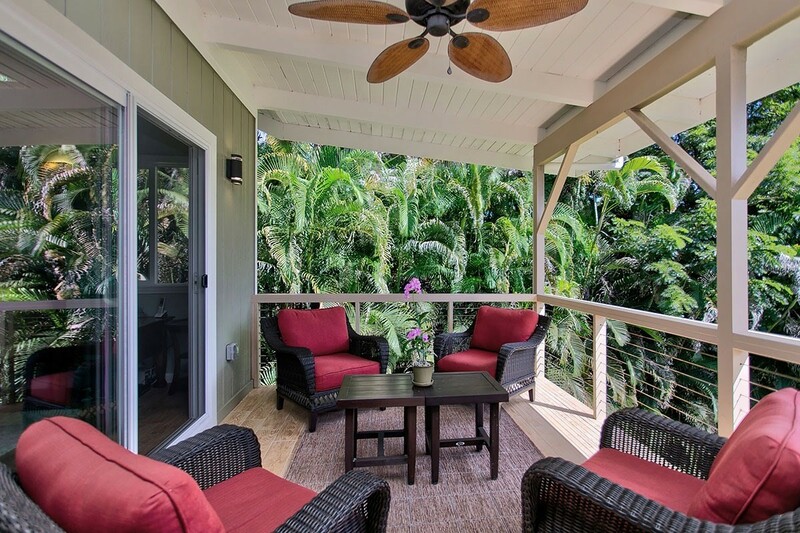 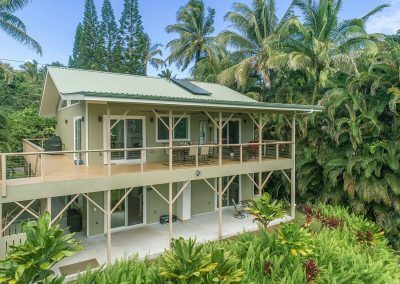 The home was designed in true Hawaiian style to take advantage of the wonderful trade wind breezes and views. 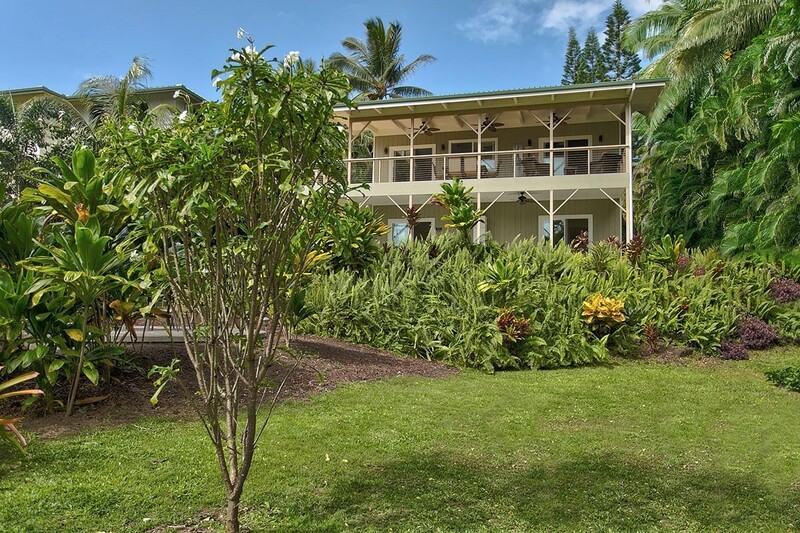 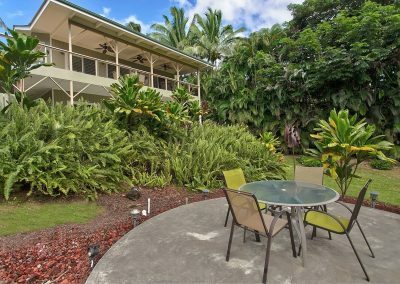 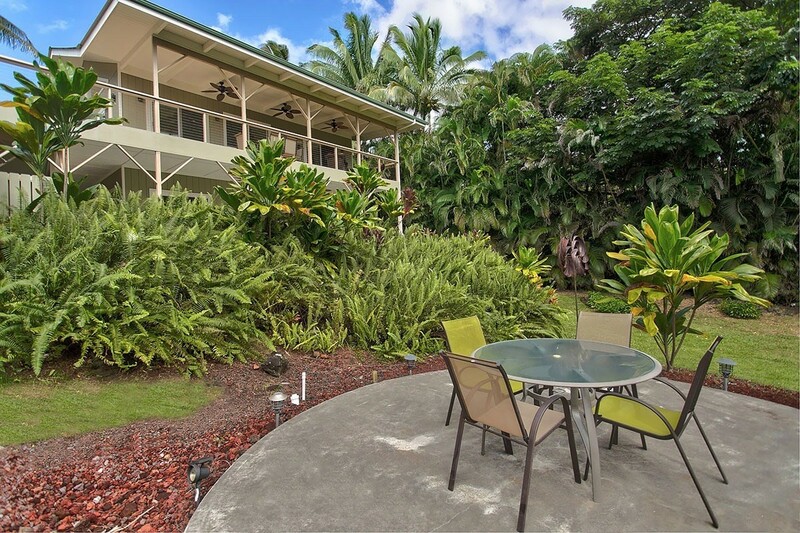 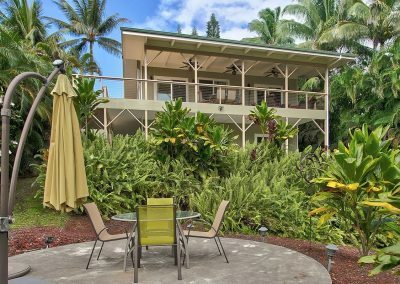 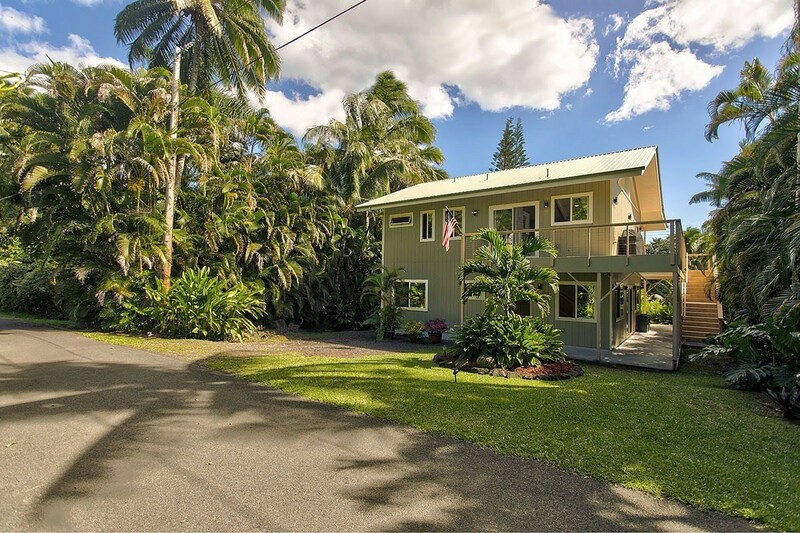 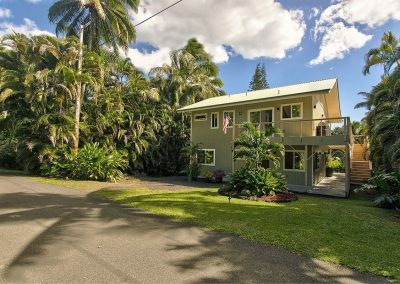 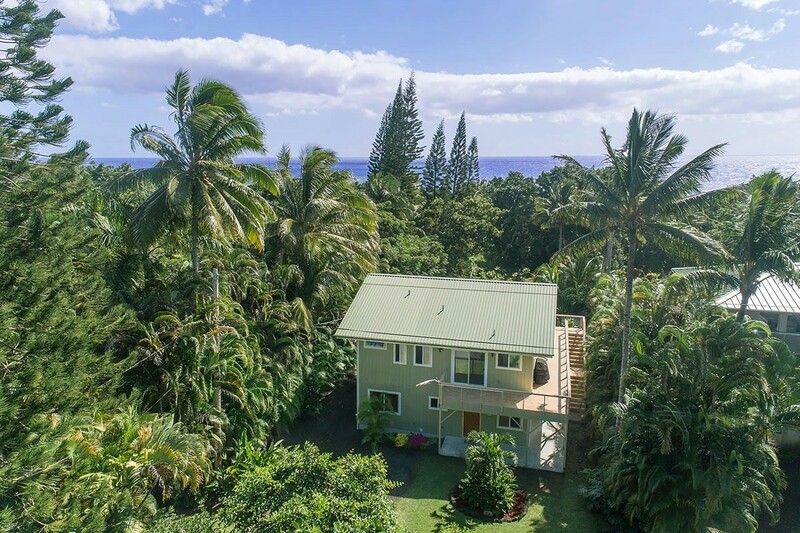 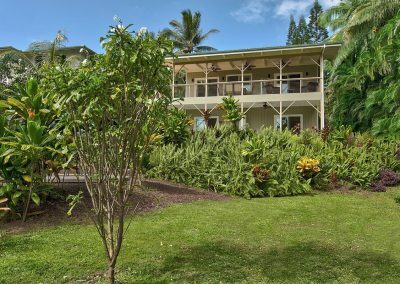 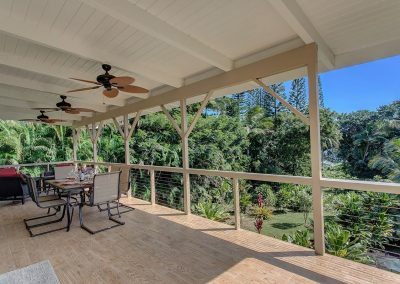 It has custom details throughout, large windows to let in light and air and several large lanais to enjoy the great East Hawaii weather. 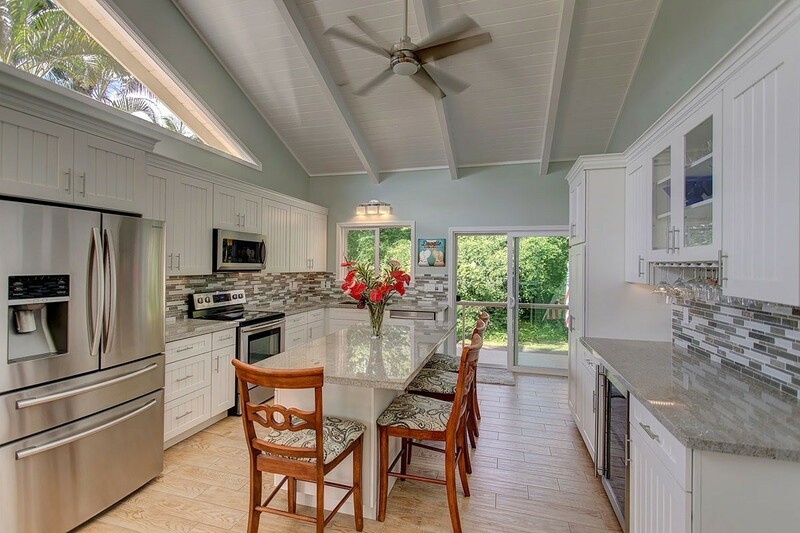 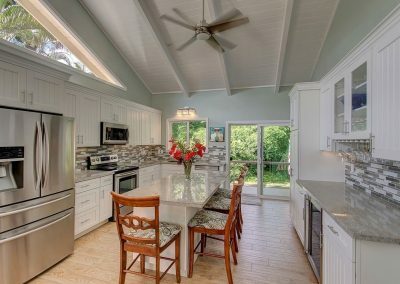 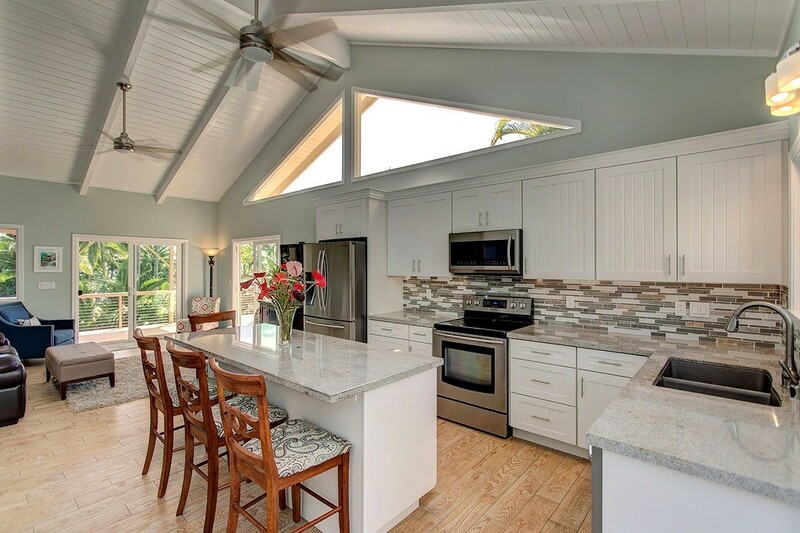 The main floor on the second level, features the kitchen with its central island with bar seating, custom quality cupboards and stainless-steel appliances. 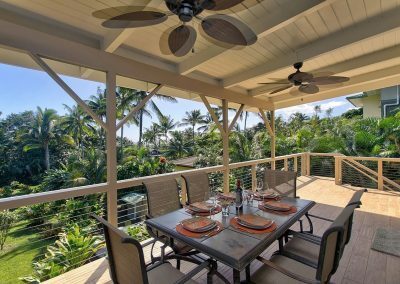 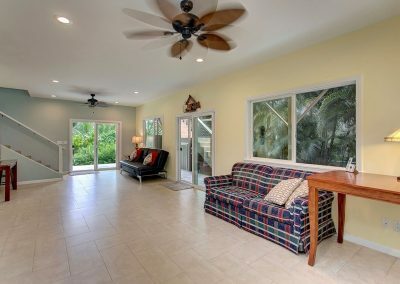 The living/dining area faces East toward the ocean and opens to the large covered lanai where you can enjoy the tropical sights and sounds. 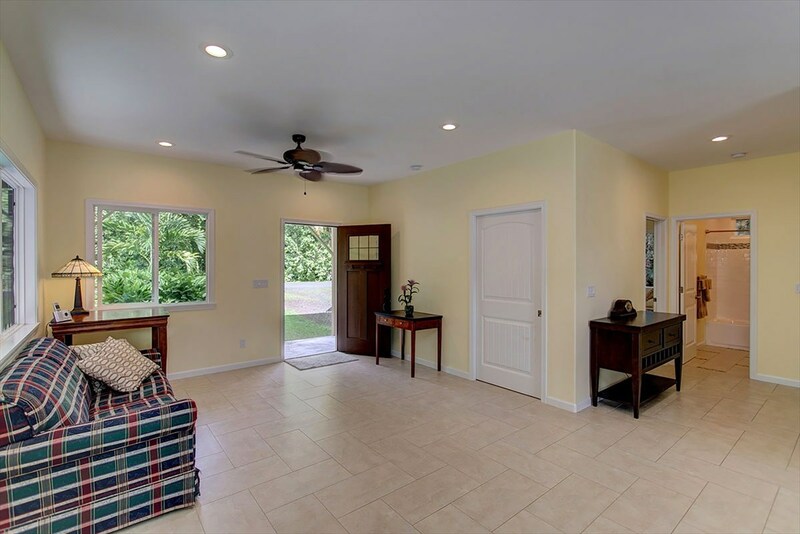 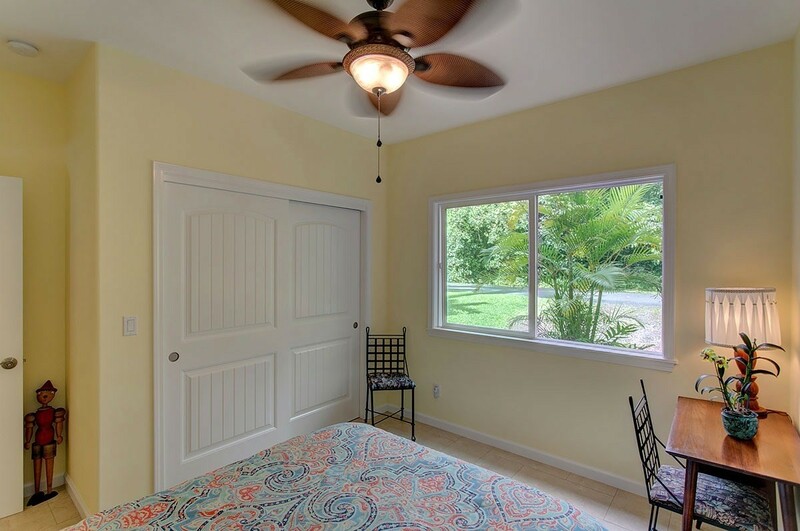 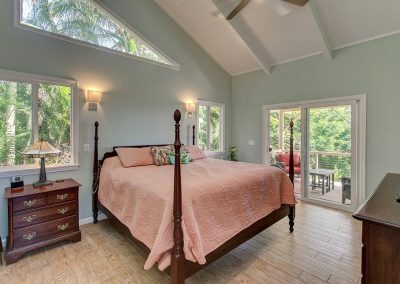 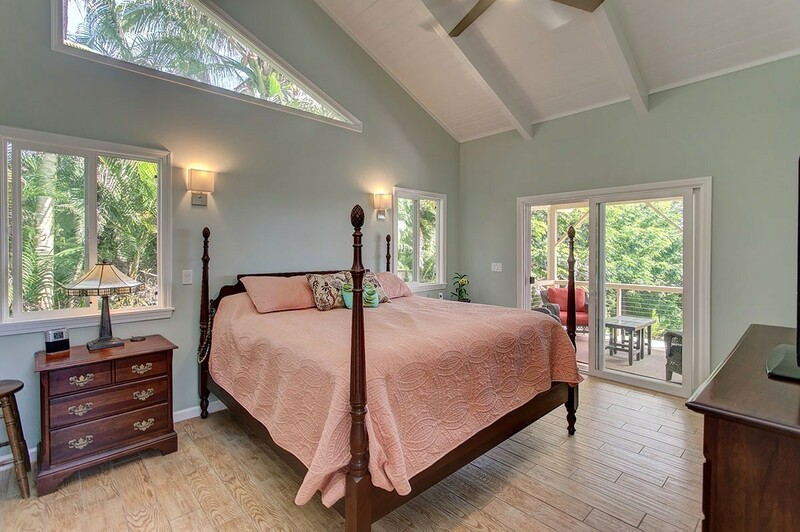 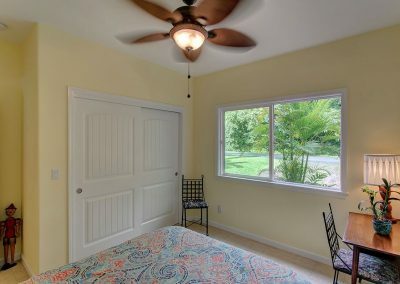 The nicely sized master bedroom with its en suite bathroom with dual head shower, walk-in closet with custom shelving and glass doors leading out to lanai round out this floor. 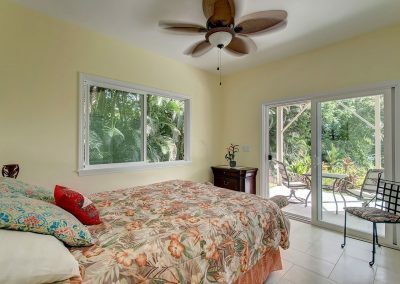 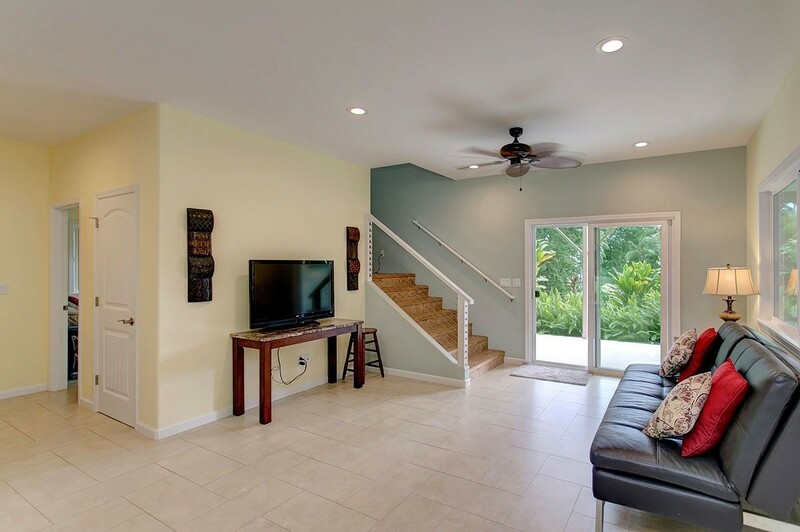 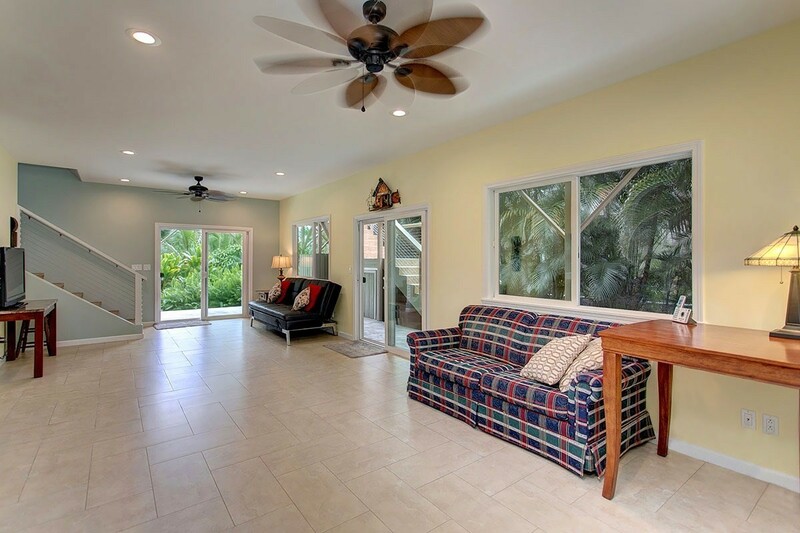 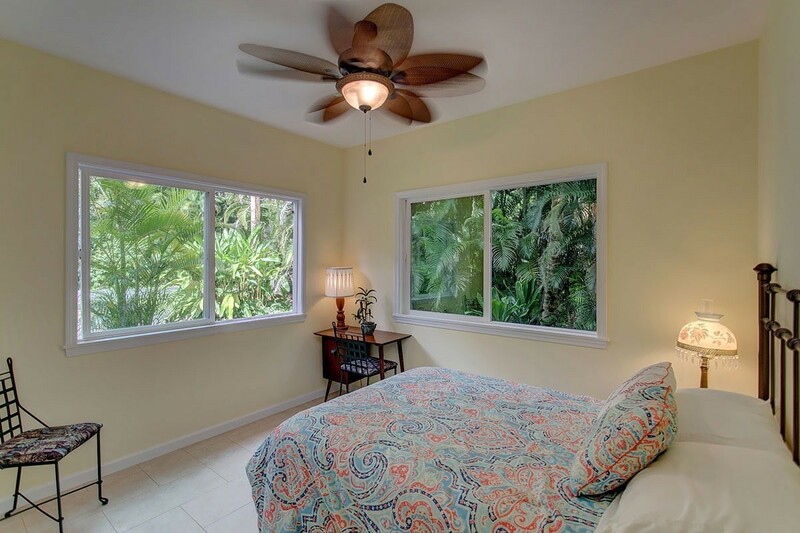 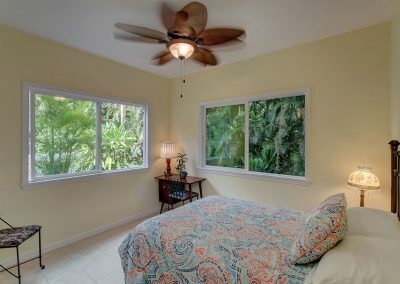 The lower level features a family room with sliding glass doors leading out to another covered lanai, two guest bedrooms, a guest bathroom, storage closet and indoor laundry. 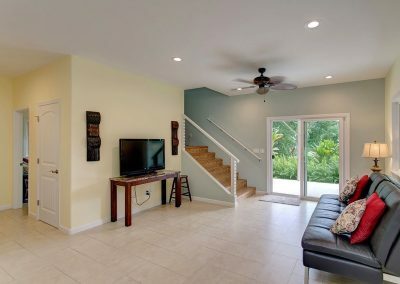 A great feature of the home is the dual stair cases – one inside the home and the other outside. 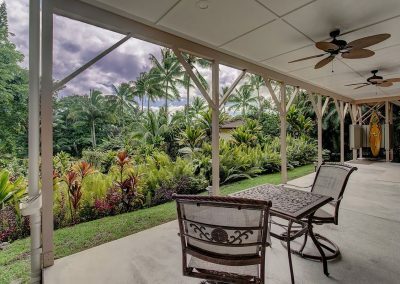 Hawaii is all about outdoor living. 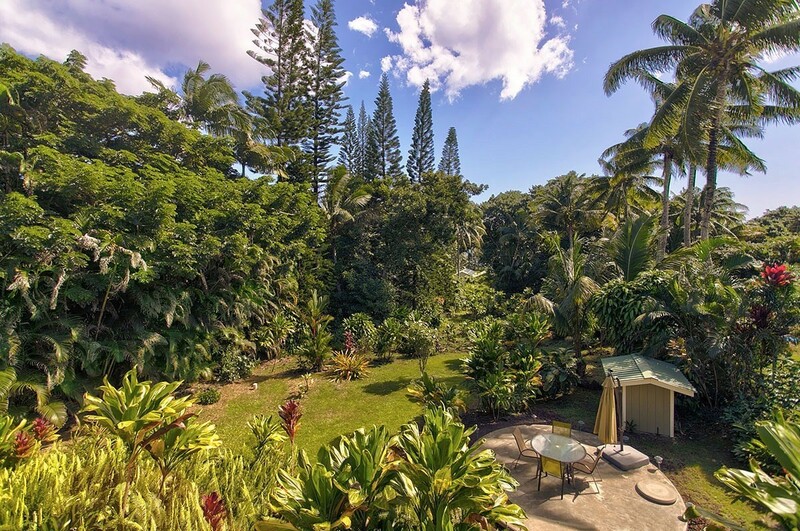 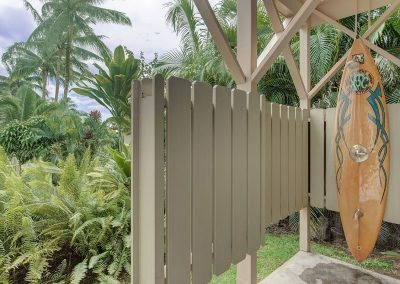 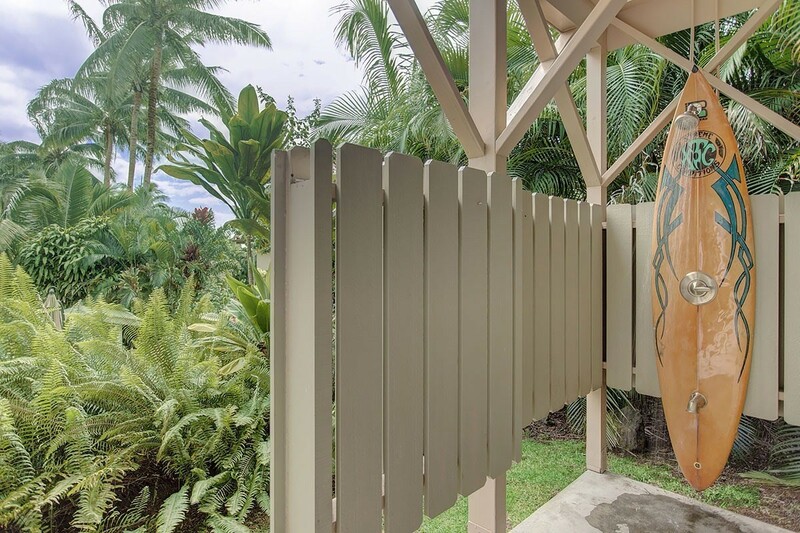 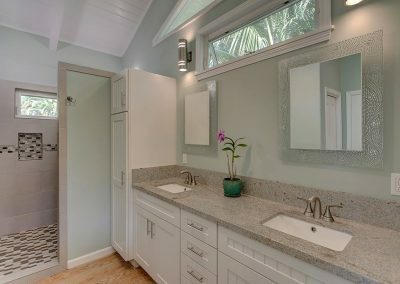 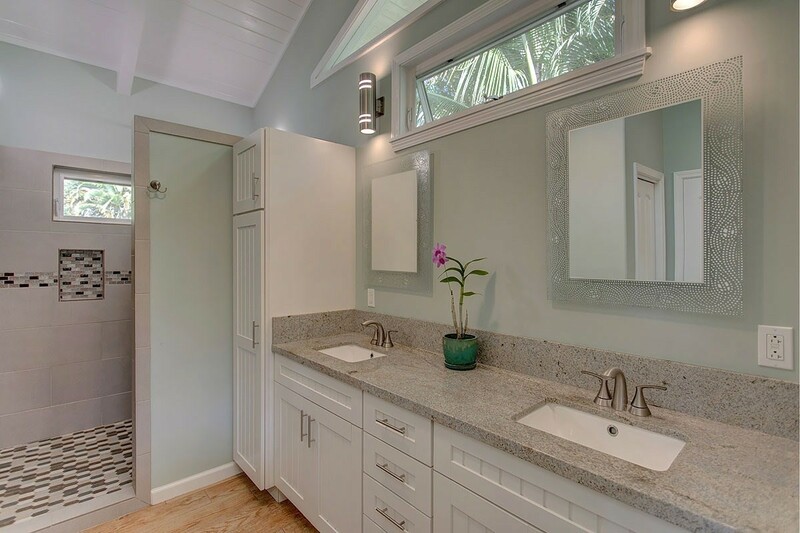 Besides the wonderful large lanais there is a private outdoor shower -a great way to start or end your day, plus a wonderful sun deck built on the top of the custom in-ground cement catchment tank. 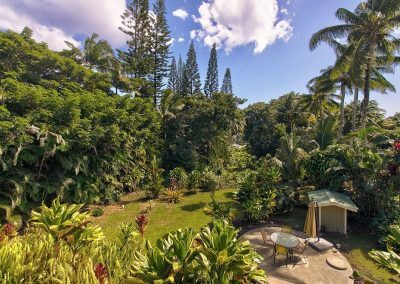 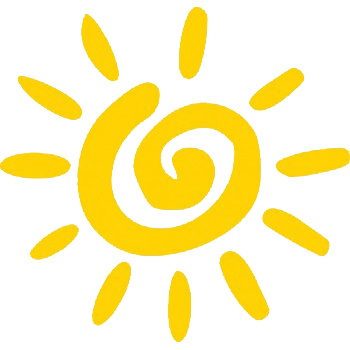 Home has easy to maintain landscaping and there is enough sun and rain here to grow just about anything. 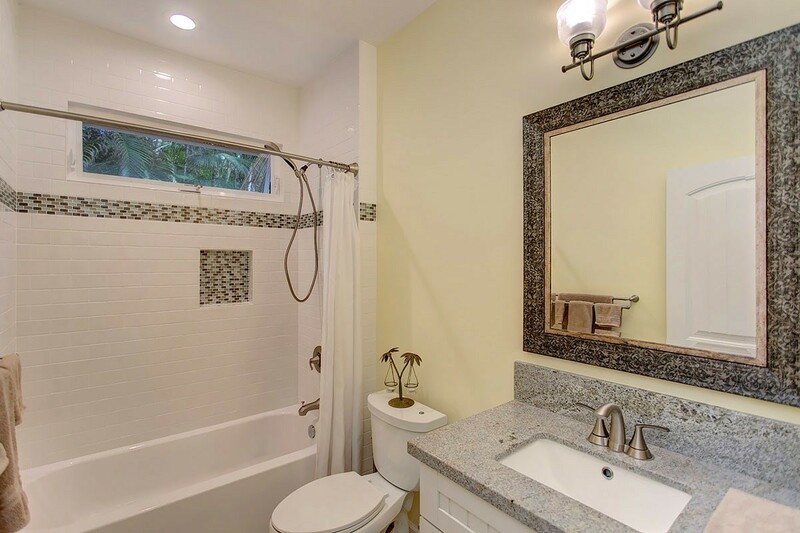 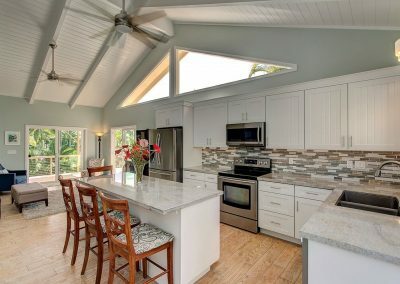 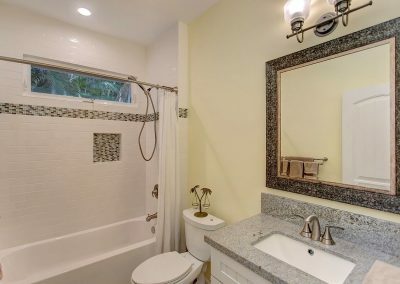 Other features include porcelain tile throughout the house and lanais, granite counter tops, wine cooler, solar water heater, high-speed internet, ocean access close by plus more!